World Of Concrete Was A Global Success! 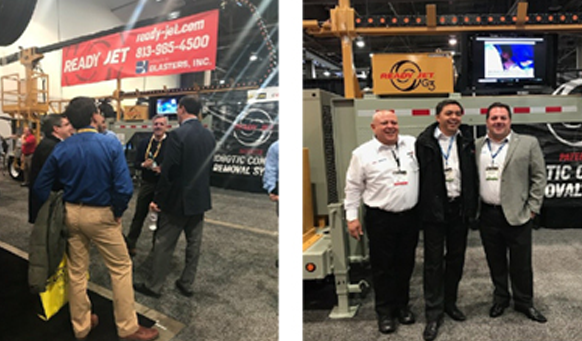 - Blasters, Inc.
World Of Concrete Was A Global Success! We want to thank all of the people who stopped by our booth and made World of Concrete a huge success. We have commitments to purchase from all over the world! If you would like more information or have any questions, please visit our website at www.ready-jet.com or call (813) 985-4500. IT’S TIME TO GET THE MAN OUT OF THE DRUM!